If you’ve seen the Power BI real time demos and heard about how Power BI integrates with Azure Stream Analytics (ASA), today we have exciting news: Azure Stream Analytics’ Power BI integration has reached public preview! 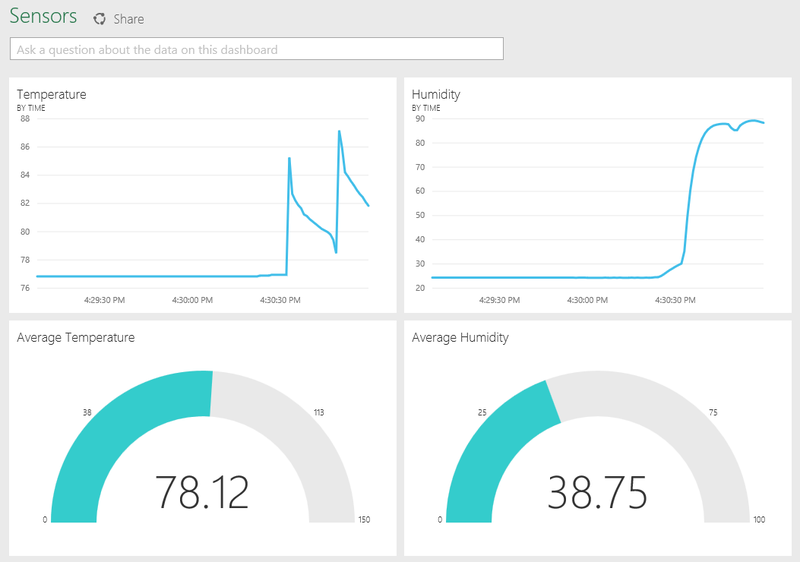 This enables customers to output the results of a highly scalable stream analytics jobs directly to Power BI where it can be visualized, explored and shared using real-time dashboard. The data is constantly up to date so you can monitor your business down to the second. 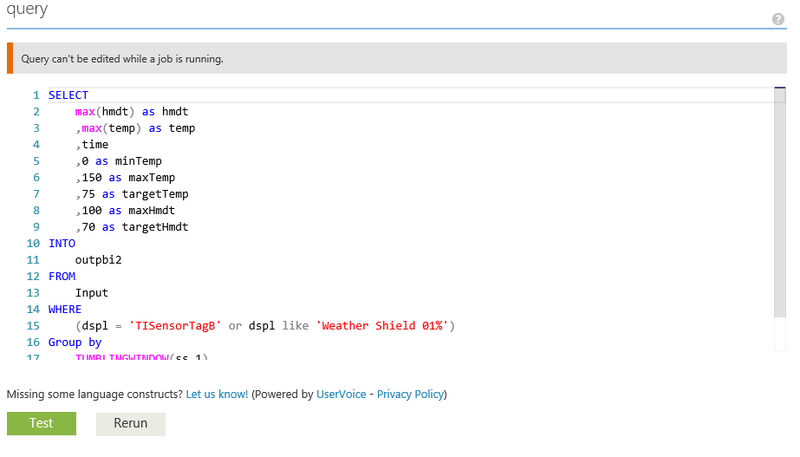 Azure Stream Analytics (ASA) makes it easy to set up real-time analytic computations on data streaming from devices, sensors, web sites, applications and infrastructure systems. It supports a powerful high-level SQL-like language that dramatically simplifies the logic needed to visualize, alert, or act on incoming events in near real-time. ASA makes it simpler to build a wide range of Internet-of-Things (IoT) applications such as real-time remote device management, and to monitor and gain analytic insights from connected devices of all types including mobile phones and connected cars. 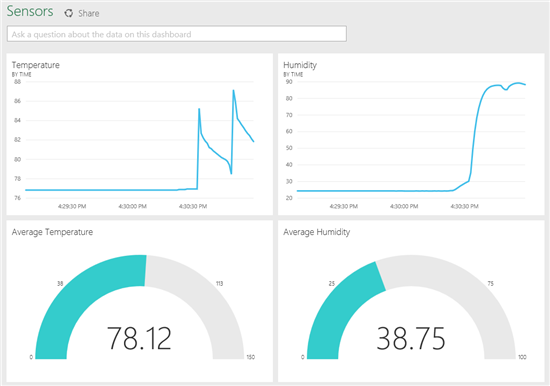 ASA can now send all this data directly to Power BI so that is can be visualized in a dashboard and explored for further insights all in real-time. Once your job has been created, you specify the Input source(s) used for your data stream. 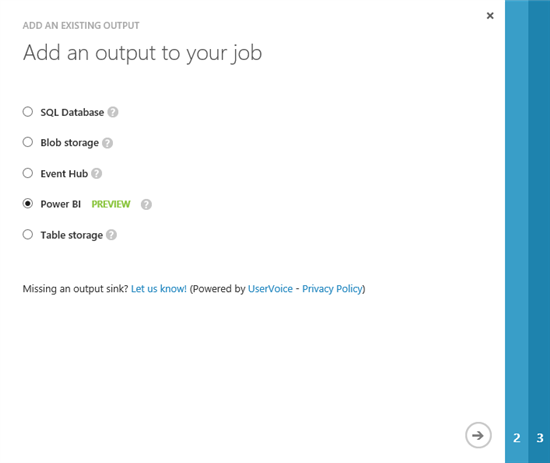 You may choose an existing Event Hub or Azure Blob or create a new one. You can also choose to add additional Reference Data Input so that your live data can be seen in context, like to see it against daily or weekly averages. Lastly, you will specify the Output sink(s), which is where the magic happens. 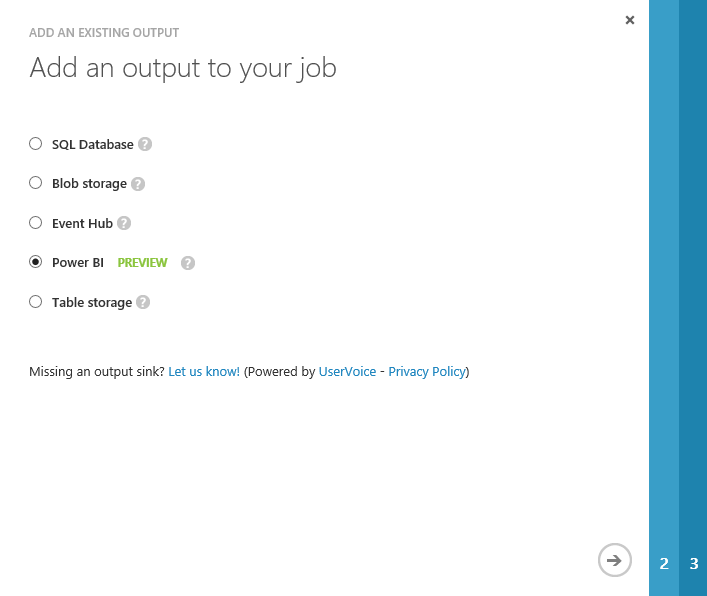 With this announcement, anyone using Azure Stream Analytics is able to use the new output to Power BI option. This option sends the output directly to a data set in Power BI where you can visualize or explore it. Once the Power BI option is selected you will be required to Authorize the connection between the ASA job and your Power BI subscription. Note: Make sure that you are logged into the Azure portal with the same account that you use for Power BI when you click Authorize. We recommend you login to Power BI first. Signup if you haven’t already. With the input and output sources specified you will need to write and test your query to transform, aggregate and/or correlate the incoming input (or set of inputs in the event of multiple input sources) and output the results to the specified outputs. Stream Analytics provides the ability to quickly iterate on your query in the browser, testing against sample data that you upload and viewing query results, without the need to run your job and incur charges. ASA also uses a simple T-SQL like language that is aimed at database developers. When the query is complete the job can be started, and your Analytics will begin to flow through the system, showing up in Power BI.